When Jimoh Ibrahim just bought over Air Nigeria, my friend, Dianah, who was working with Air Nigeria at the time didn't blink an eyelid before she put in her resignation. 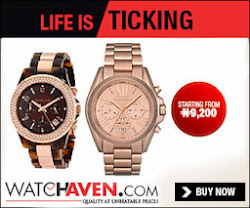 Her reason, anything Jimoh Ibrahim buys fails! She went on to name a number of failed businesses accredited to his faulty management system. At the time, I didn't quite believe her, I felt she walked away because she got bored with her job and had a better offer. But today, hearing this about Air Nigeria, I wonder if this guy is actually a business crasher. In as much as I'm happy my friend had left, I feel bad for those members of staff who are still there. I also wonder about people who had bought their tickets for future use. Will they loose their money or will they be refunded immediately. My dear readers, please tell me, is Jimoh Ibrahim actually a joker like my friend said or is he just unfortunate in his choice of businesses? Air Nigeria has announced the suspension of all its operations -local, regional and international - with effect from September 10. The suspension, according to the management of the airline, is largely due to staff disloyalty and environmental tension, “which are not conducive for business in the aviation sector”. The airline regretted any inconvenience the decision will cause its loyal passengers and advised passengers to contact agents from whom they had purchased tickets for a refund. 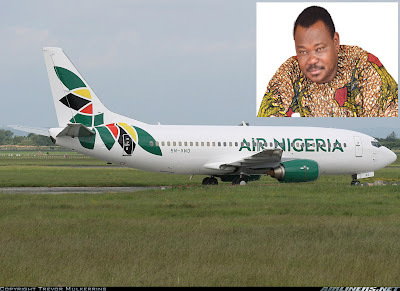 The Chairman of the airline, Mr. Jimoh Ibrahim, said it was difficult to continue investing in the airline with the high level of staff disloyalty and weak business environment. “But we are strongly committed to ensuring that Air Nigeria survives,” he added. Ibrahim said about 50 loyal workers from various departments of the airline had been selected with a mandate to recommence business within 12 months. He said other workers had been relieved of their employment. Ibrahim thanked stakeholders for their support in the last two years of Air Nigeria’s operation under the new management. He said the suspension of the airline’s operations was not unusual. Ibrahim said: “Corporations are like individuals, who naturally will get sick. The usual thing to do is to admit them in hospitals, either for corporate surgery or for treatment, as the case may be. He said the suspension of operations was due to staff disloyalty and a weak business environment. I raised this question in my office and people maned Nicon Hotel, VGC Telecoms and a host of others. We all agreed that the guy is bad news to any business. Proud and self absorbed human being. Can you imagine that this man once put up his list of staff on newspapers with their monthly earnings and the cars they were entitled to! This guy is impossible. Nobody should work with him, he overrates himself. Jimoh Ibrahim once insisted that to work in his company, you must have a first class. This man is sick! My sister used to work there and she said he brought about some stupid policies and cut down everybody's salaries when he just took over Air Nigeria. They all knew this was bound to happen when he started laying off staff right at the beginning of his tenure. God is watching this man. This man is not a business man anything. Only God knows what he does for a living. For as long as I've heard about him, he always destroys businesses. If only they'd left that company as virgin Nigeria and let people that know their salt take care of it. Now, they'll have the last laugh.